Sometimes technology just doesn’t work the way that we want it. Please take a moment to “troubleshoot” your issue here. 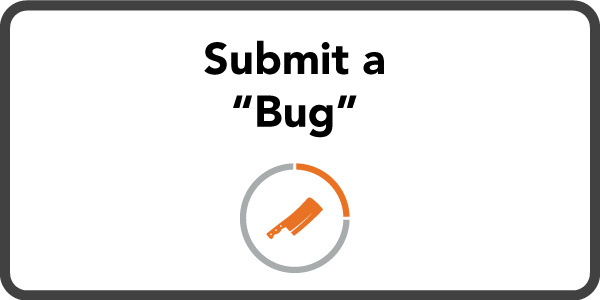 If your problem is not solved, please submit a “bug ticket” below. What is a “bug”? That’s technology speak for ‘something isn’t working right’ and we need to know about it so that we can squash it and keep things running smoothly. Please share your trouble below and we will get it sent to the developers. Thanks so much!